You are here: Home / Mobile / What Is International CDMA on the iPhone? What Is International CDMA on the iPhone? There are many different cellular settings on your iPhone 5 that can affect the way that you use data on different networks. 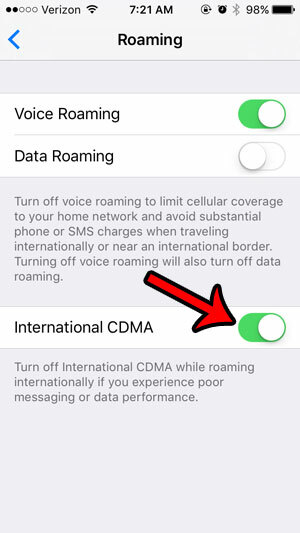 One of these options is found deep within the Cellular menu of the Settings app, and it is called “International CDMA.” The International CDMA option can allow you to connect to CDMA wireless networks in foreign countries while you are travelling. CDMA is one of the types of cellular networks to which your iPhone can connect. However, not every foreign country has a CDMA network, and leaving this option turned on can result in a poor text messaging experience, and inadequate data performance. If you are travelling and experiencing one of these issues, then turning off the International CDMA option on your device may be able to resolve the issue. 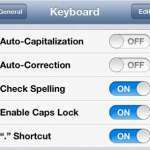 Our guide below will show you how to find this setting and adjust it to suit your needs. 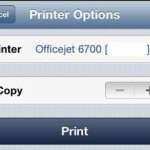 The steps in this guide were written using an iPhone 6, in iOS 9. These steps will work for other iPhone models using iOS 9 as well. Step 3: Select the Cellular Data Options button near the top of the screen. 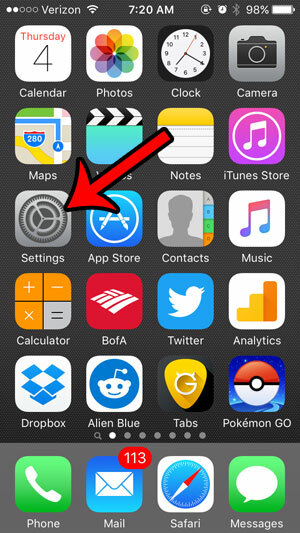 Step 4: Tap the Roaming button near the center of the screen. Step 4: Locate the International CDMA option at the bottom of the screen. 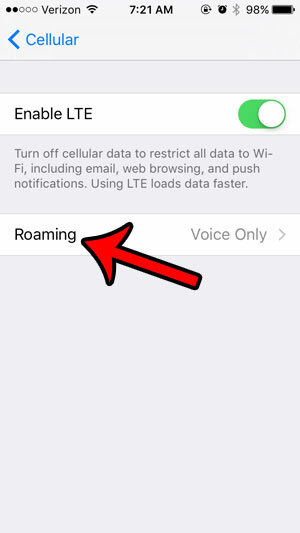 If you do not see the International CDMA option, then you will need to turn on the Voice Roaming option first. 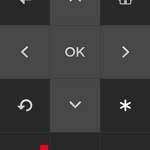 An option on this screen is turned on when there is green shading around the button, and it is turned off when there is no green shading. International CDMA is turned on in the picture below. 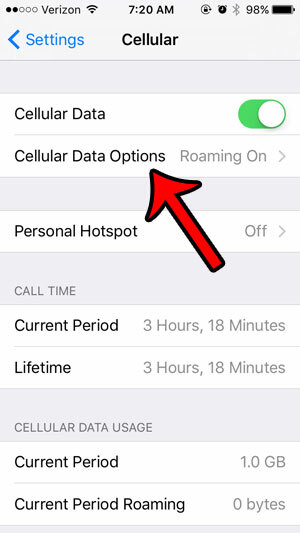 If you are concerned about your cellular data usage, then there are a number of different settings you can adjust to reduce that usage. 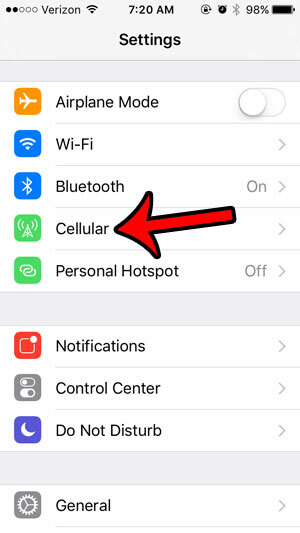 This article – https://www.solveyourtech.com/10-ways-reduce-cellular-data-usage-iphone/ – will show you many of the options that are available to you.